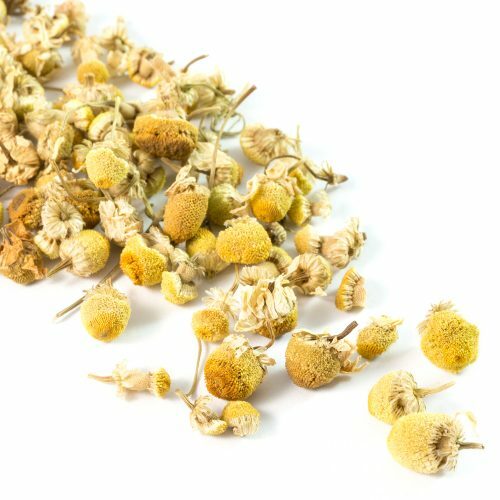 Camomile flowers have been used for centuries in teas as a mild, relaxing sleep aid, treatment for fevers, colds, stomach ailments, and as an anti-inflammatory, to name only a few therapeutic uses. Naturally caffeine free. A soothing infusion of whole chamomile flowers known for its relaxing properties. Honey may be added to taste. 1. 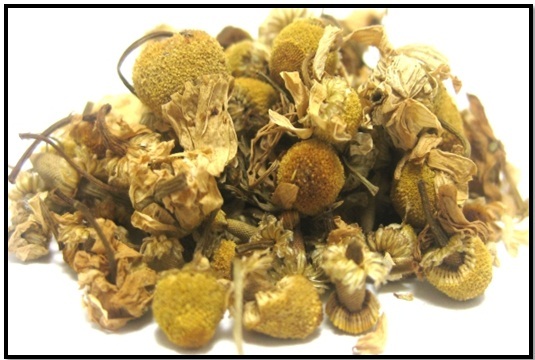 Treats Cuts and Wounds – Camomile tea was used by the Greeks, Romans, and Egyptians as a salve for wounds to expedite healing. It worked especially well for burn wounds. 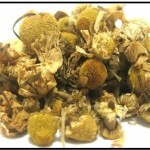 This is because Matricaria chamomilla has anti-inflammatory, antimicrobial and antioxidant effects. 2. It is said to assist with reducing diabetes – Some research has shown that camomile can help those suffering from diabetes. It is said to also help with hyperglycemia. 3. Antibacterial – It has been claimed that the antibacterial effects of drinking camomile tea can help to prevent and treat colds while protecting against bacterial-related illness and infection. 4. Soothes Stomach Ache – further adding onto camomile benefits, the herb is said to be a wonderful salve for an upset stomach. It can help to soothe and relax the muscles and lining of the intestines, camomile can help with poor digestion and even those suffering from irritable bowel syndrome (IBS). 5. Promotes Sleep – drinking camomile tea is said to soothe the nervous system so that you can sleep better. It has been used as a solution for insomnia for centuries. 6. Promotes Healthy Skin – with it’s anti-inflammatory and anti-septic properties, camomile is said to help in clearing up skin irritations such as eczema, acne, and allergies.